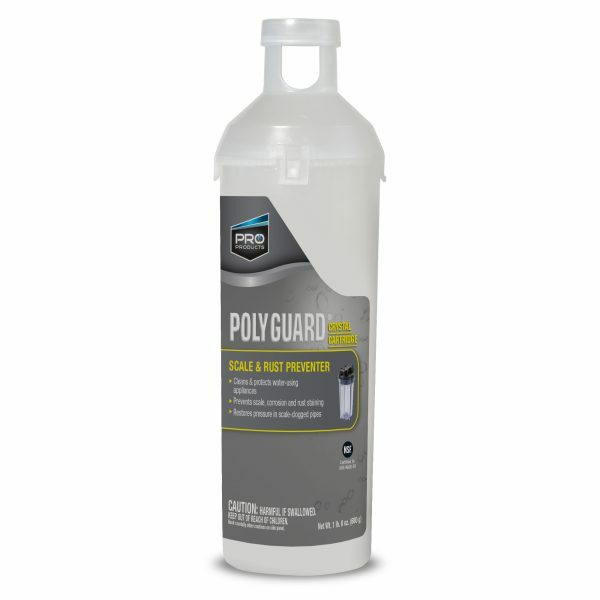 Poly Guard Crystal is an economical and safe way to treat hard water and iron in the water without the use of a water softener. Poly Guard slowly dissolves food grade crystals into the water supply, protecting plumbing and water-using appliances from corrosion and hard water. In addition, the Poly Guard extends the life of your plumbing and appliances by leaving a protective coating on the interior walls. This coating of the plumbing also has the added benefit reducing the leaching of copper and lead into drinking water. One Poly Guard Cartridge will last up to six months while treating up to 30,000 gallons of water. 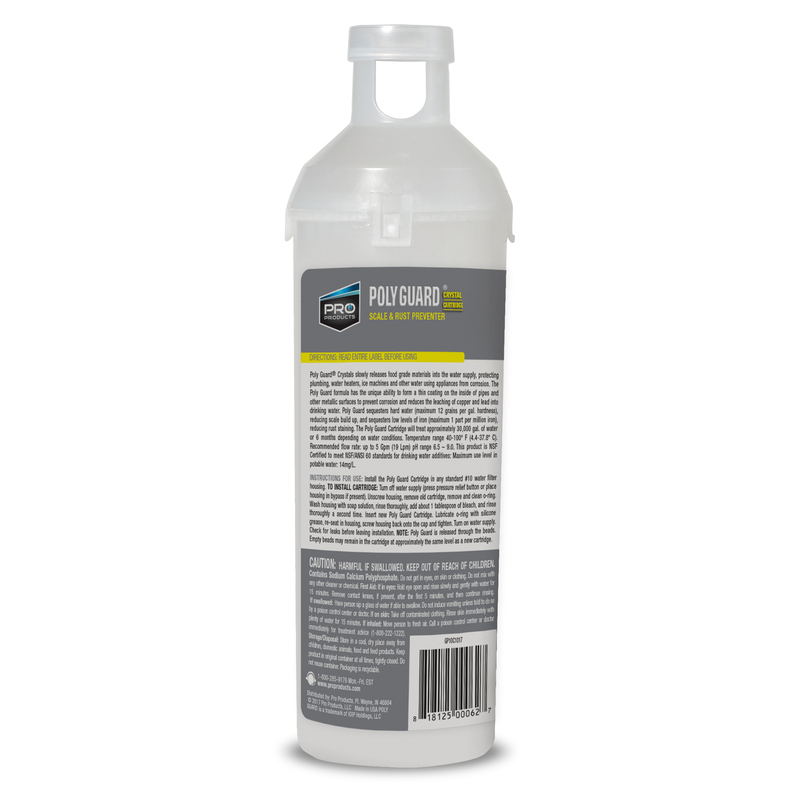 Poly Guard sequesters hard water (maximum 12 grains per gallon hardness), reducing scale build up, and sequesters low levels of iron (maximum 1 part per million iron), reducing hard water rust staining. Temperature range 40-125º F (4.4-37.8º C). This product is NSF Certified to meet NSF/ANSI Standard 60 for drinking water additives. Available in 1.5 lb size. Corrosion Control: Poly Guard Cartridge fits 10″ standard whole house filter housings. The cartridge will hold 1.5 pounds of crystal and treat up to 30,000 gallons of water. These crystals will not dissolve completely and should be replaced in 30,000 gallon intervals or every 6 months to ensure product efficacy.